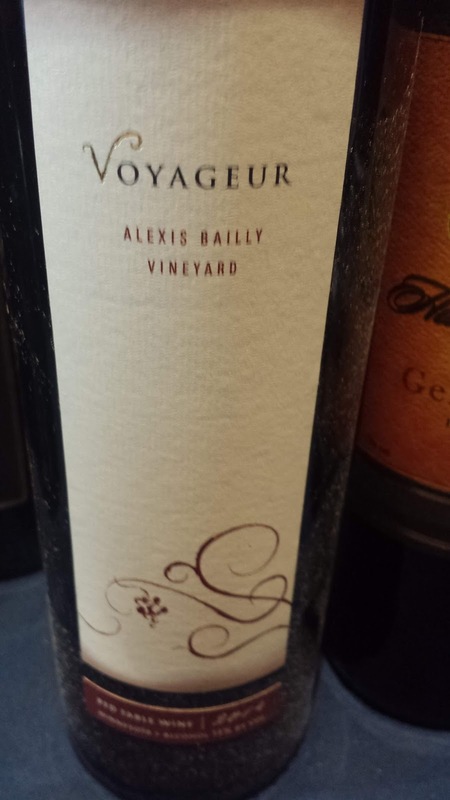 Minnesota wine was present last month at the annual Wine America Congressional Tasting through the Alexis Bailly Vineyard Voyageur ($29). The wine is a blend of Minnesota grown Marechal Foch, Leon Millot, and Frontenac. The first two grapes are French hybrids whereas the later was developed by the University of Minnesota in 1996 as an extreme cold hardy wine grape for northern growers. 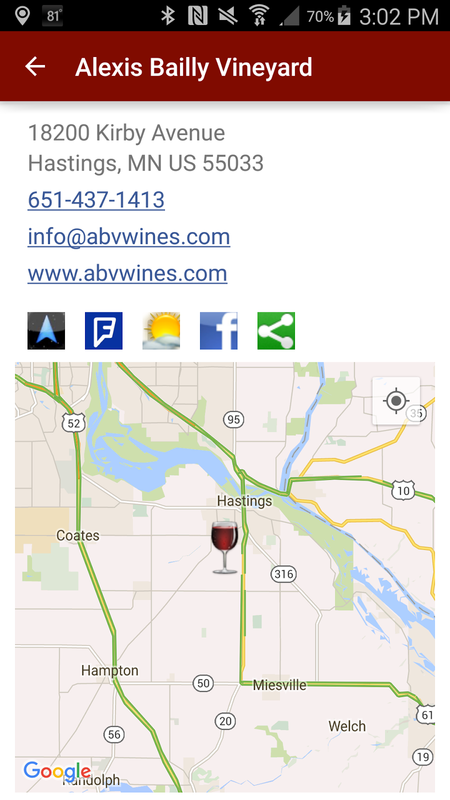 The wine itself, as well as the winery, is named after their 4th great grandfather, Alexis Bailly, who along with a handful of other French/Canadian pioneers (voyageurs) paddled their way through the St. Lawrence Seaway to Hastings, Minnesota. And the Marechal Foch and Leon Millot were part of the original vineyard when, in 1973, David Bailly planted the fist modern vineyard in the North Star State. The vineyard was inspired by not only Bailley's interest in wine but also a desire to start a business where he could deduct wine trips to Europe. I can relate to that sympathy. In 1967 he tasted the Boordy Vineyards Red from the historic Maryland winery and realized European styled wines could be made in the east. Further research lead him to Millot and Foch and over time he concluded that "the Léon Millot has made the best wine and the Maréchal Foch has been the most winter hardy". The Voyageur is dark, both in color and black fruit forward flavors; stressing the fruit forward nature of this wine. Ten months of oak treatment comes in play during the mid-palate and outweighs the fruit, whereas the wine finishes with plenty of acids and a slight tannic coating. This wine shows well, a bit pricey in the world market, but more reasonable in the drink local market. Cheers.